WF 1570 LH series - Global International B.V.
For downloads see our downloads page for the WF 1500 series. – Same as WF 1575 LH, but equipped for binding work (binder not included). 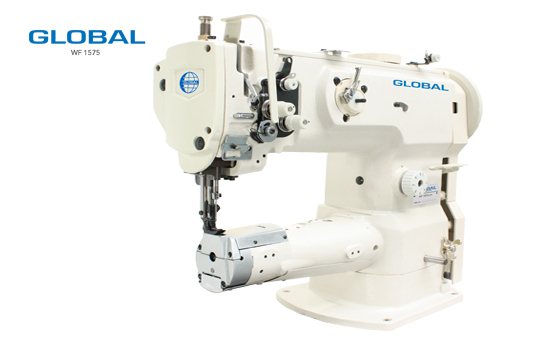 Same as WF 1575 LH, but equipped with thread trimmer, back tack and presser foot lifter (all pneumatic functions). – Same as WF 1575 LH, however double needle with a standard needle gauge of 8 mm.